Flood insurance: why isn’t there a crisis? You may have thought that two months of substantially above average rainfall, extensive flooding across the south and south-west of the country and flood stories leading the news bulletins day-after-day would have brought with them a deluge of headlines about insurance claims going wrong. Instead, there is next to nothing being said about the immediate response of the insurance industry. Why? There are several reasons for this and plenty of lessons for both government and the insurance industry as they return to the negotiating table to hammer out a viable future scheme for ensuring that flood-prone properties have access to affordable insurance. So far, despite the awful pictures of flooding on our television screens every night, the total cost of the floods to the insurance industry is relatively modest in historic terms. Last week, the Association of British Insurers estimated the value of the claims so far as £426m, way below the £2.5bn incurred in 2007, the £1bn plus in 2000 or even the £700m in Easter 1998 (none of those figures are adjusted for inflation either). This reflects the small number of properties badly affected, mainly because the new flood defences built over the last decade have worked. The priority in building the defences has been to protect large numbers of vulnerable properties in towns and built-up areas. Clearly, that has worked despite the excessive and, dare one say, misguided, criticism currently being hurled at the Environment Agency and the government. It is obviously not very easy for politicians to stand up and say that small villages in flood plains haven’t been a priority, and are unlikely to be. This is the first lesson for the insurance industry to take on board. The flood defence spending programme is already bearing fruit. The flood risk in many vulnerable parts of the country has been substantially reduced. This should prompt insurers to mellow over some of the exclusions in the current Flood Re proposals which threaten to derail an otherwise intelligent solution to the challenge of making flood insurance available to everyone. The other reason why we haven’t seen too many critical stories about the insurance industry’s response to the current floods is that, in the worst affected areas, it has been unable to respond. There is very little an insurance company can do beyond offering alternative accommodation (which most of those affected seem not to want) while properties are still flooded. 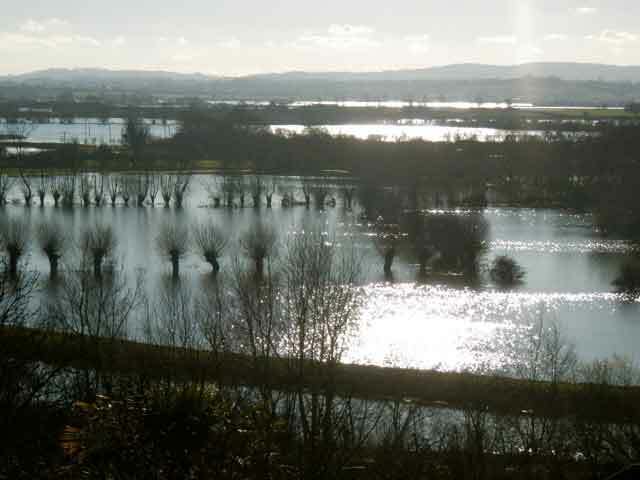 In addition, in the Somerset Levels, it is still impossible to get access to the worst affected villages. This is a glimpse of the other problem I have highlighted with the government’s commitment to Flood Re – its lack of honesty over the inability of our infrastructure to cope with the one-in-one-hundred year and worse incidents. If insurers cannot get access to affected areas then they cannot start putting in place measures that might reduce the final cost of claims. The Department for the Environment, Food and Rural Affairs (DEFRA) must acknowledge this in its approach to the Flood Re negotiations. It cannot leave the insurance industry exposed to the full cost of major incidents when it cannot guarantee that the infrastructure – not just roads but power and telecommunications too – will be capable of supporting a prompt response by insurers. No doubt these, and other issues surrounding the Flood Re plans – such as how to stop the dead hand of the Treasury grabbing any surplus it accumulates – will feature in the debate at the All Party Parliamentary Group on Insurance & Financial Services next week.